Work of Heart believes that curriculum is a vital component of our program. The essence of early childhood education is age appropriate learning. Our teachers use plan books to organize and help facilitate a fun-filled day that is designed to enhance your child’s skills and stimulate their creativity. We believe in exposing children to a variety of music, art and culture, as well as exploring various aspects of science and math. Literacy is a prime factor in our program with stories being read, sung, and acted out, with your child’s participation. Socialization is another primary component of early childhood education. Our teachers model and facilitate good character and emphasize this in their classrooms. We use theme weeks in order to provide a varied and complete experience for your child. Themes cover everything from health and nutrition to community helpers, fairy tales and transportation. We use many community resources to enhance our themes, including a presentation from a published author/illustrator, musicians, animal specialists, firemen, police officers, and environmentalists. 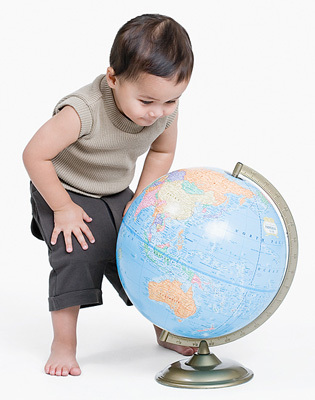 At Work of Heart we want to teach your child about their world as they find their very special place in it.